Steel channels are not just steel pipes and tubes cut in half – it is a fully machined steel section with a large number of dimensions that can be specified. You can think of the cross-section as a capital C with a flat vertical ‘web’ and two flat horizontal ‘flanges’, connected by tightly curved corners whose radius can be specified too. The height of the web. The width of the flanges. The radius of the corners. The internal height (given by the height of the web minus the thickness of the flanges). The thickness of the web (not necessarily the same as that of the flanges). All of these together create the cross-section of the steel channel which, combined with its length, will also determine the mass – allowing you to specify steel sections that carry an acceptable weight. In addition to these physical dimensions, there are many different characteristics that describe steel channel’s resistance to different forces, including plastic and elastic moduli, figures for buckling, warping and torsion, and so on. We can supply steel channel with a mass of anywhere from just over 10 kg per metre, up to nearly 65 kg per metre, and with a web height from 100 mm to 430 mm. You can see the full technical details of our range on our Steel Channels Page, or get in touch to find out more about what we have available and the best steel channel for a particular upcoming project. Of course, we also have a full range of steel sections in other shapes, including open steel angles, flat bars and universal beams and columns. 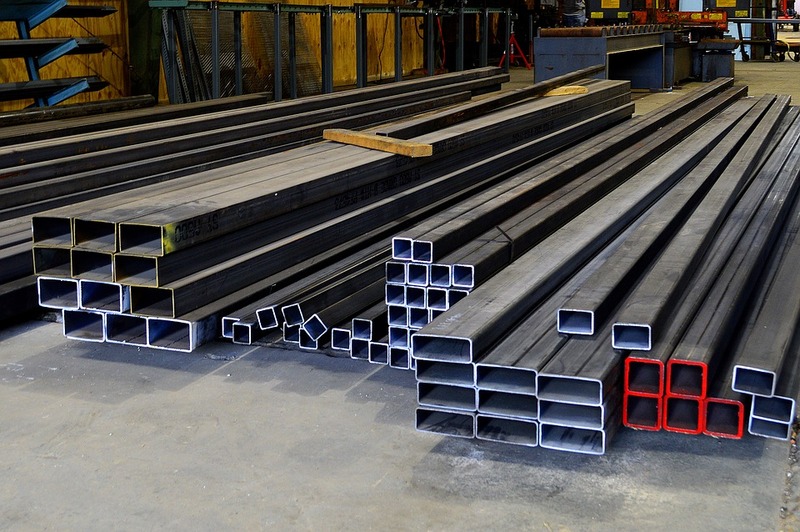 If you need a closed steel section, alternatively, we have steel pipes and tubes, square and rectangular steel box sections, and solid rounds and squares as well. Our steel fabrication services can supply your steel sections in the form you need them – whether that means sawing and flame cutting them to the specified length, drilling assembly holes, or any general light fabrication of steel cabinets, structural steel and other three-dimensional components.